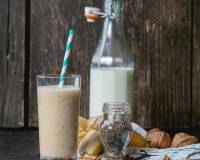 Spinach Dates & Banana Smoothie Recipe simply is a package of creamy yummy goodness. 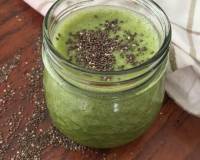 Spinach Dates & Banana Smoothie Recipe simply is a package of creamy yummy goodness! 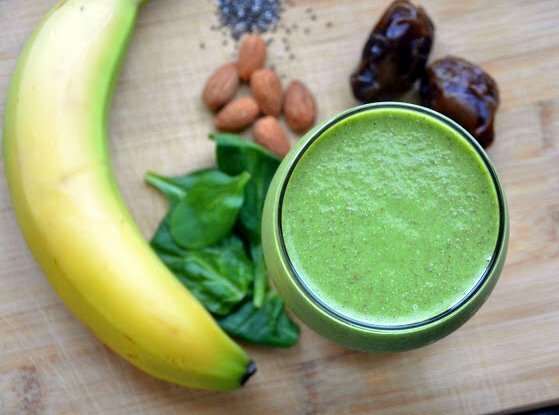 This spinach smoothie is filled with dates, almonds, chia seeds, and banana. It is filling and won’t get you hungry for a good four hours. 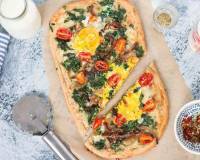 It is best had as a breakfast with cereals or crepe. 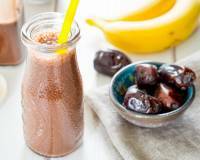 This spinach, dates and banana blend can make a filling snack time smoothie for kids. 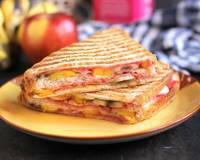 It is a quick recipe to prepare and lip-smacking good as well. 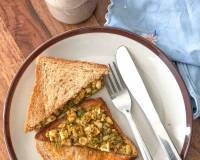 Serve Spinach Dates & Banana Smoothie along with Focaccia Bread with Sweet Onion and Capers for your weekend breakfast. 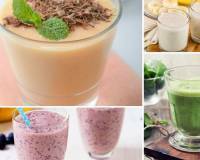 To prepare easy Spinach Dates & Banana Smoothie Recipe, prepare all the ingredients and keep them ready. 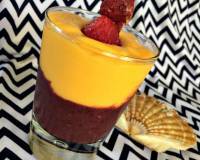 Now place all the ingredients in a high-powered blender and blend until smooth. Garnish with spinach sprig and banana slice and enjoy this Spinach Dates & Banana Smoothie Recipe.